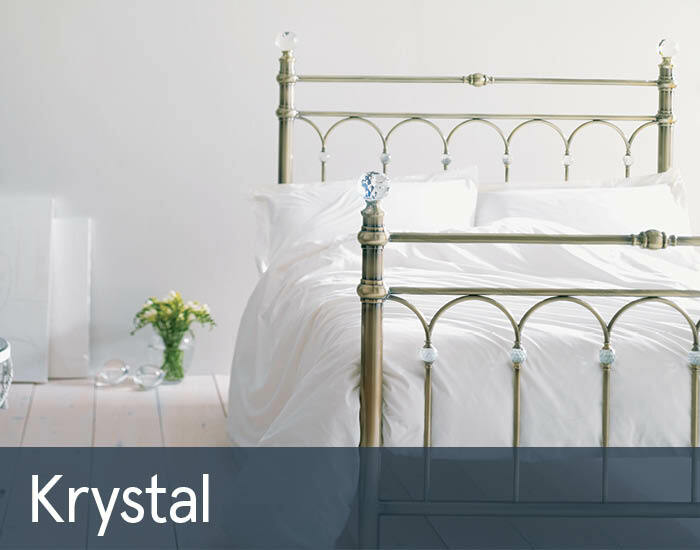 The Bentley Krystal bedstead has been remarkably well made. As well as being immensely strong and durable, it features a beech sprung slatted base, which adds extra support to the mattress.With charming crystal-effect accents on the bedknobs, and a stunning Victorian design, the Bentley Krystal bedstead is a highly dignified item that will lend your bedroom a touch of distinction and elegance. The immense sturdiness of the design and the supremely stylish headboard and footboard give the bedstead a remarkable warmth that will allow it to look good alongside any style of furniture. The Bentley Krystal bedstead is available in two different finishes. Choose from a brass or nickel finish to bring out the best in the rest of your bedroom furniture.